This Griswold, CT hotel is conveniently located at exit 85 off Interstate 395 between Foxwoods Resort Casino, MGM Grand at Foxwoods and Mohegan Sun. The hotel offers a variety of room types including suites with whirlpools and fireplaces. In addition, enjoy our inviting indoor pool and hot tub. For people that like to stay fit on the road, we offer a wonderful fitness center. Stay connected on the road with free, hotel-wide, high-speed internet. Wake up each morning to our free, hot, home-style AmericInn Perk breakfast with fresh waffles, fresh fruit, pastries, coffee, juice and more. You are sure to enjoy this clean, quiet, comfortable hotel that offers all the amenities, and friendly staff, you expect most. 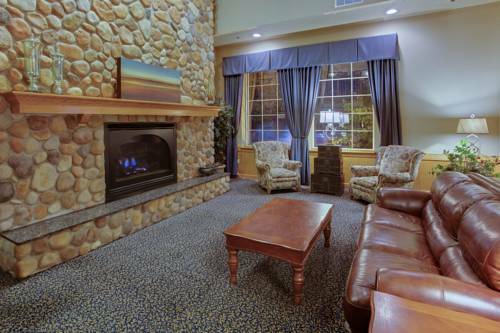 The AmericInn Lodge and Suites is conveniently located at exit 85 off Interstate 395. We are located 15 minutes from Foxwoods Resort Casino and 20 minutes to Mohegan Sun Casino. We are approximately 30 minutes from Mystic, New London and Groton. We offer complimentary scheduled shuttle service to both casinos on Friday and Saturday nights. Plenty of shopping and restaurants within a mile radius of the hotel. Mercy Brown, the suspect blood-sucker, did not rest peacefully. But that's mostly due to all-hours visits to the Baptist cemetery by modern ghost hunters and vamp fans.